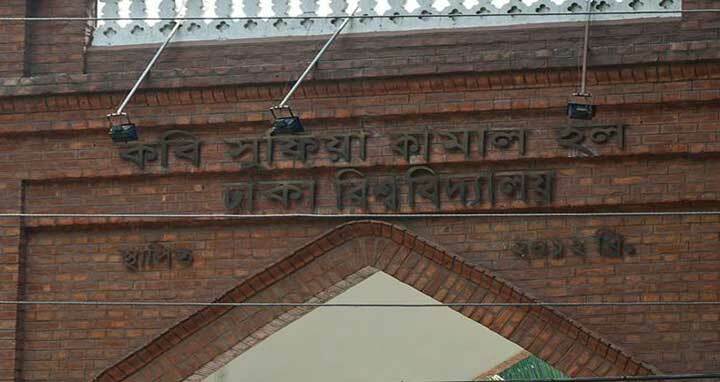 Dhaka, 21 April, Abnews: Three residential students of Dhaka University’s Kabi Sufia Kamal Hall, who were forced out of the dormitory early Friday ‘for spreading rumour on Facebook’, returned to the dormitory on Friday, reports UNB. As the university authorities’ decision trigged widespread criticism and protests on the campus they asked the three students to return to their dormitory, reports the UNB. The students are Sharmin Shuvo, a second-year student, Parvin, a fourth year student of Mathematics department and Kamrunnahar Liza, a fourth year student of Theatre and Performance Studies department. Hall Provost Sabita Rezwana Rahman said that the three students returned to the hall between Friday afternoon to night. Some inmates of the female dormitory were ‘forced to leave it’ in the early hours of Friday. Denying the allegation, the DU authorities said three students were handed over to their families for their alleged involvement in spreading rumour through Facebook.